When is a kiosk more than just a kiosk? When it combines humanity and technology. Every kiosk we build, every problem we solve, everything we do is for people. Whether we’re making lives easier or interactions more memorable, we strive to create self-service experiences that are both purposeful and personal. When you want to increase engagement, build loyalty and look good doing it, CTS Mighty Touch has interactive kiosk and digital signage solutions that transcend industry and scale. From our customers to our products to our employees, we pour our energy into building meaningful connections and intuitive self-service experiences that are built by humans, for humans. What do some of the most well-known healthcare systems in the country have in common? They rely on CTS Healthcare for high quality, custom self-service check in solutions. 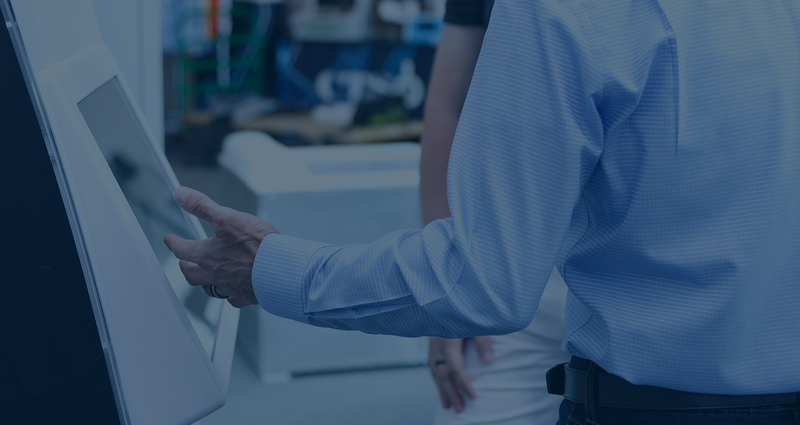 Although we looked at several vendors, we found CTS to provide the greatest flexibility in being able to customize the kiosk to meet the needs of our organization and the software application that we are using. Change the color, add some peripherals, heck, make it bear-proof, if you want. Whether you're looking for a minimally branded or fully customized kiosk, we've got the in-house technical and creative fabrication, development and implementation skills to make it happen. We stay true to our Midwestern values even in business. Integrity, trust, and pride – they're not just words to us. They're how we become partners and not just vendors. We love what we do but, more importantly, we love that we can make an impact for you. A kiosk is a customer's first impression of a business – and you've only got one shot to make it a good one. That's why we refuse to compromise on the performance, durability and design of our products. Without using shortcuts or cheap alternatives, we create user experiences that are built to last.